A challenging and exciting ride with long riding days with overnight in the village of Llyswen. We look forward to welcoming you on the Llyswen Trail Ride. 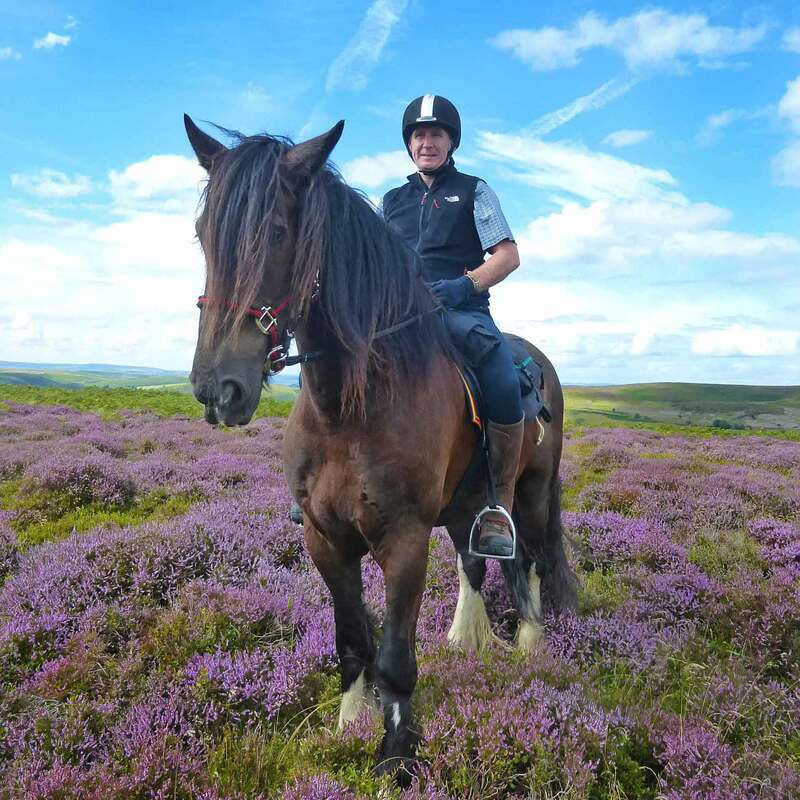 The Llyswen Trail is a two day trail ride staying overnight at Wye Knot Stop B&B situated in the small mid wales village of Llyswen. It is two long days in the saddle of 16-18+ miles in length. On the first morning of your trail riding holiday you will pack saddle bags, go through maps and routes and of course collect your fit and friendly GGs. Your overnight stay is at the Wye Knot Stop B&B. The horses and stay with a friendly local farmer just five minutes’ walk up the road. Evening Meal is normally taken at the Bridgend Inn a short strollaway, through the village. You return trail ride is completely different. Heading along the lanes of Boughrood then north along old bridleways around Ffynnon Gynydd to emerge eventually on the south western tip of the Begwns. 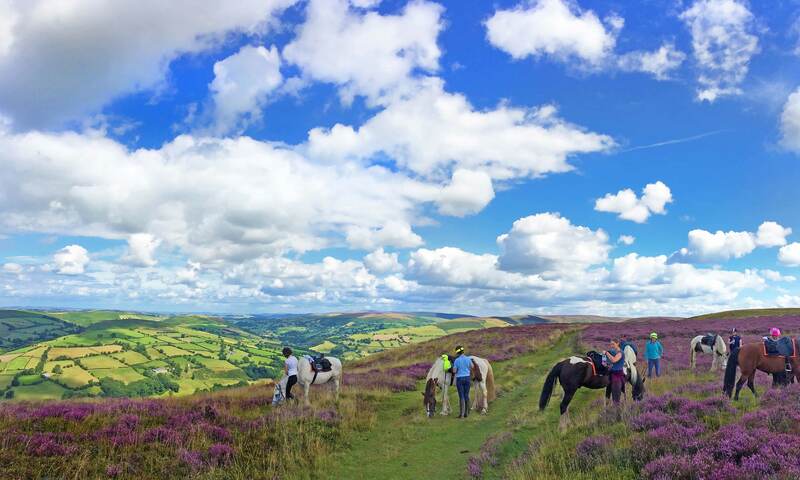 Here you can either return direct to Freerein HQ riding over the Begwns. Arrive at Freerein HQ. Meet horses and check your maps and routes. Out on trail all day and stay overnight in the village of Llyswen. Enjoy breakfast, then catch and prepare your horses. 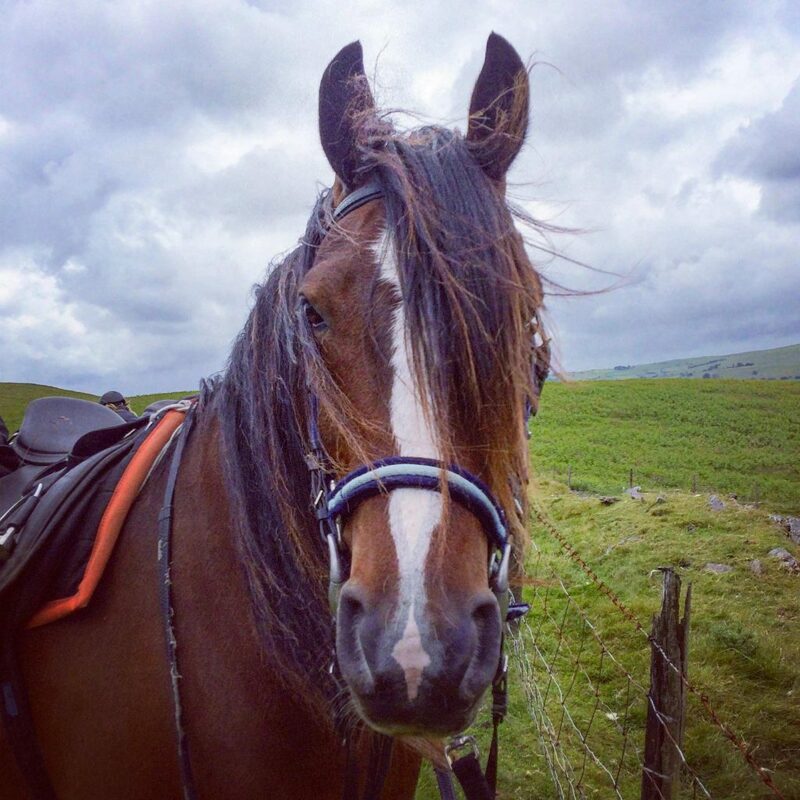 Head out on trail all day returning to Freerein HQ. Cross Llanstephan suspension bridge and enjoy great views of the Wye Valley.